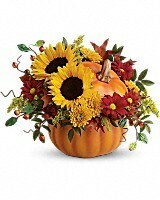 Radiantly rustic sunflowers and other beautiful blooms in a hand-painted ceramic pumpkin that is truly the pick of the patch. 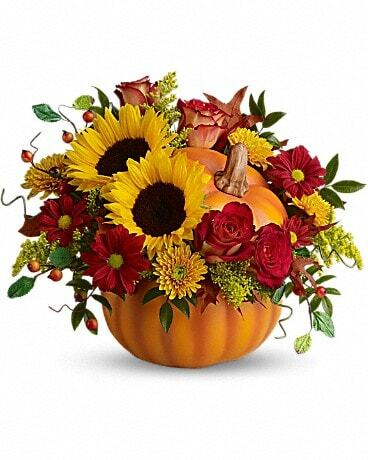 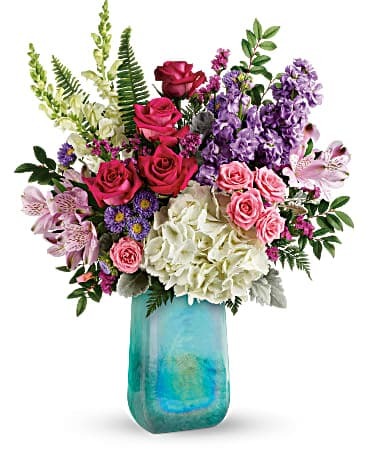 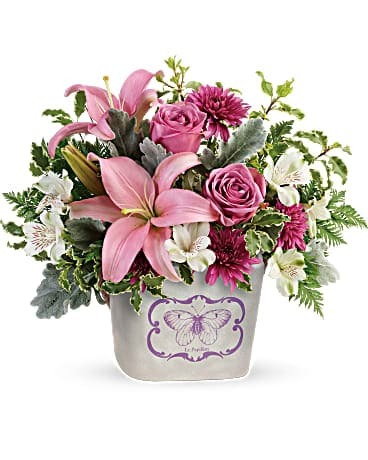 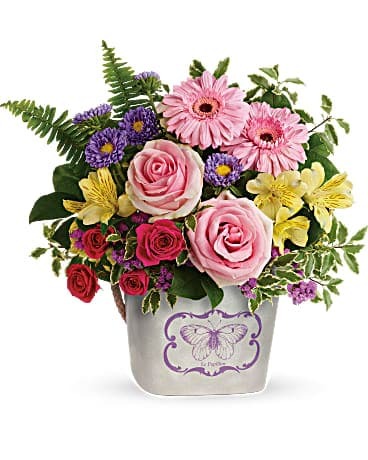 This delightful gift will keep on giving for years - as a vase, candy dish, or objet d'art. 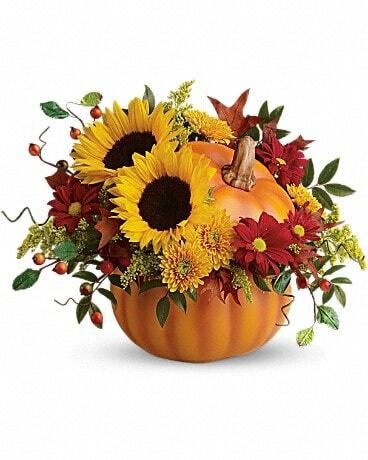 Radically rustic, this spectacular array of fall flowers in a hand-painted ceramic pumpkin is a stunning example of country chic. 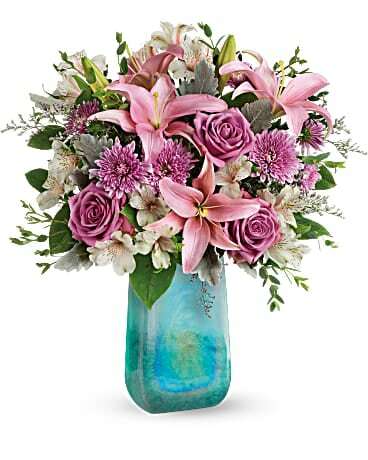 Years from now, this beautiful keepsake will be cherished and used - as a vase or candy dish.